Each week, I pick and choose my FAVORITE deals from the Weekly Ad to help you guys know which deals to pay attention to and which �deals� to pass on. I only post the �BEST� Deals each week in this matchup on purpose. If it was featured in the ad and it isn�t listed below, more than likely, I just didn�t think it was that good of a price to share. So try not to purchase items that aren�t listed below-unless you can�t wait for a better sale. Any items listed in RED are items you might want to consider Stocking Up on! 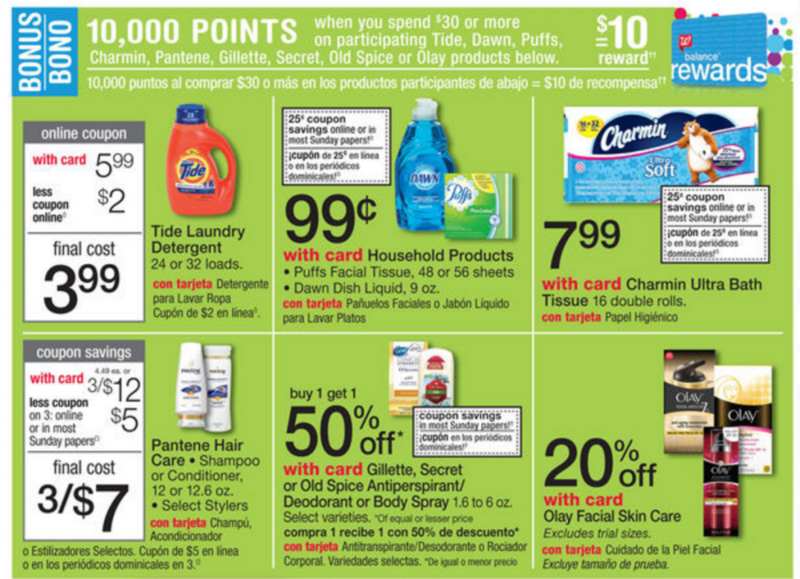 This week at Walgreens you can earn 10,000 Balance Reward Points good on your next purchase when you spend $30 or more on participating Tide, Dawn, Puffs, Charmin, Pantene, Gillette, Secret, Old Spice or Olay products. 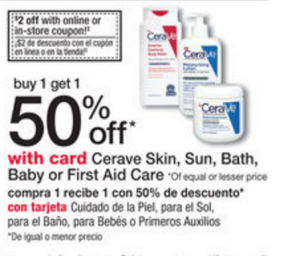 Through April 30th at Walgreens, you can mix and match select brands of cosmetics at Buy One Get One 50% Off. 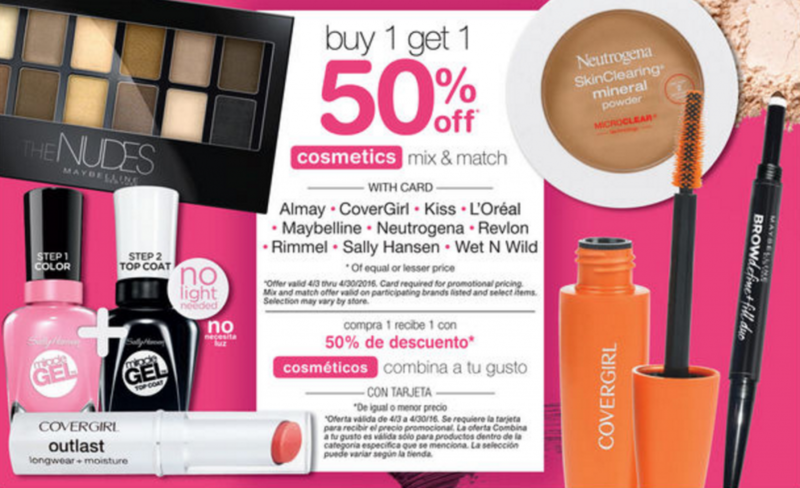 Choose from Almay, Covergirl, Kiss, L’Oreal, Maybelline, Neutrogena, Revlon, Rimmel, Sally Hansen, Wet N Wild. 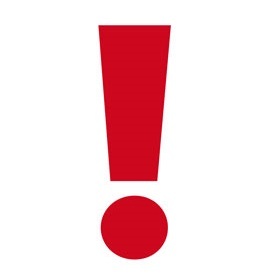 SS stand for Smart Source, RP stands for Red Plum, PG stands for Proctor and Gamble. 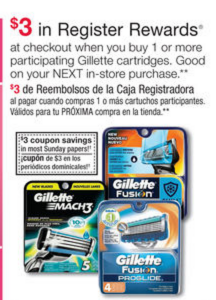 They are all coupon inserts that come in the Sunday Papers.You can get a copy of the Walgreens Ad in stores. 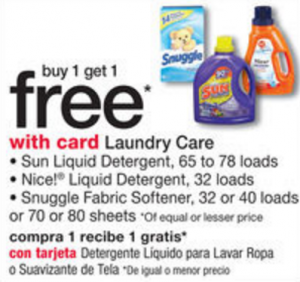 Also the Walgreens coupon booklet can be found in stores next to the Walgreens Ads.